Anastasia is the real thing! 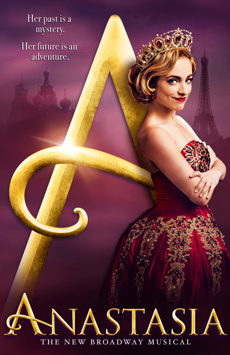 Fantastic, intelligent, well-crafted, and exhilarating, Anastasia deserves a coronation!" Captivating, beautifully staged and emotionally vital. Anastasia hits the sweet spot! A sweeping adventure, romance and historical epic that piles discovery upon discovery. Its fine craftsmanship will satisfy musical theater fans.